TRAFFIC congestion in Melbourne is on par with New York and could rival the world’s worst cities if nothing is done to combat the problem. 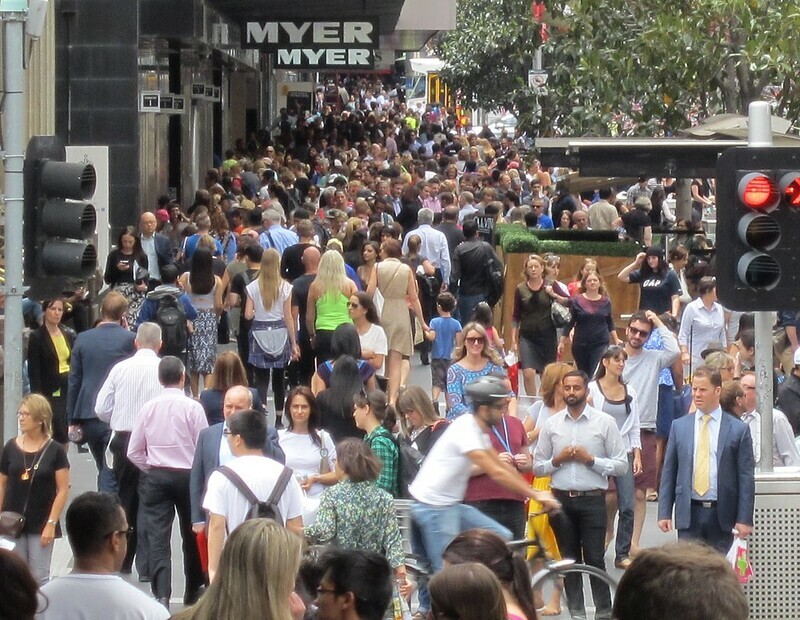 Figures supplied by Tom Tom show congestion levels in Melbourne are at 33 per cent compared to its population. This means motorists are sitting in peak hour congestion a third longer than if the traffic was free-flowing. An average morning commute to the Melbourne CBD by car takes almost 70 per cent longer than in the middle of the night. These are based on very similar surveys: the Herald Sun used the much-criticised Tom Tom congestion survey. The Age used a Grattan Institute survey. Both use the same flawed methodology. They compare a city’s traffic speed at quiet times with the traffic speed at peak hour. Apart from assuming that getting around by car as fast as possible is automatically the most important thing, you get wacky conclusions because a city with 24/7 congestion (only slightly worse at peak hour) is deemed to be less congested than a city where most of the time there’s free-flowing traffic but for a couple of hours a day it’s proportionately worse. In any case, if this is our big conclusion that drives transport policy, I think we’re asking the wrong questions. I don’t think the debate should be about congestion. It shouldn’t even be about mobility. It should be about access to opportunity: jobs, education, amenity. It’s not about whether people who choose to drive* are delayed by others who choose to drive. It’s about whether everybody (including those who don’t drive) can get to the places they need to get to. *Or are forced to do so for lack of viable alternatives. One of the major benefits of a big city, if there are lots of opportunities well-serviced by public transport (and walking and cycling), is that it makes it easier for everyone, of every age, and every income level, to access them… provided they don’t insist on bringing their 2 tonne private vehicle, of course. What sort of city do we want? There’s also a lesson in the headlines. In the Herald Sun story, New York, London and Rome are cited, and compared to Melbourne. In other words, the most prosperous, vibrant, successful cities on Earth have congestion. And we’re becoming more like them. Is that actually a bad thing? …a study from Texas A&M’s Transportation Institute found a powerful correlation between per capita traffic delay and per capita GDP; and the correlation wasn’t negative, but the opposite. For every 10 percent increase in traffic delay, the study found a 3.4 percent increase in per capita GDP. It’s not that congestion itself increases economic productivity, but that places with a lot of congestion are economically vibrant; those without, not so much. Should we really be trying to stamp out congestion, or should we look at how other cities deal with it? The big world cities don’t deal with congestion by eliminating it – which basically isn’t possible; building more roads just grows more traffic. Rather, they provide lots of ways of avoiding traffic congestion, by making sure more people can get around without driving in it and adding to it: by providing viable non-car modes for most trips, including non-work, non-CBD trips. Meanwhile, the state Coalition is calling for more decentralisation to maintain Melbourne’s liveability. By “liveability” I suspect they actually mean crowding and congestion. Again, look around the world at the cities we might aspire to be. Decentralisation plays against one of our key strengths. Which is not to say we shouldn’t increase the number of viable business districts, if it’s possible. But just moving lots of people to car-dominated regional towns doesn’t really help. As Alan Davies notes, decentralisation is just another name for regional sprawl. And replacing urban sprawl with regional sprawl isn’t actually a positive. Okay I’ve rambled a bit again. But my key point is: congestion isn’t our enemy. Lack, and inequity of access is what we should be talking about, and seeking to fix. I recently read a book I bought a couple of years ago after seeing an interesting article about it: Moving Minds, Conservatives and Public Transit, by American conservatives Paul Weyrich (who passed away in 2008) and William Lind. It’s an interesting read, providing a perspective on transport issues which isn’t often seen prominently, at least in an Australian context. As I read (on my daily train journey! ), I tweeted points I thought were worth noting, and I’ve included them all below. The current balance of car vs public transport is heavily skewed by decades of governments meddling with the free market, and providing massive subsidies to automobiles. Road infrastructure is very expensive, and does not provide long-term congestion relief. Urban rail infrastructure helps bring investment. To attract choice riders to public transport, the service has to be high quality. They equate this to frequent rail services, claiming that most people won’t ride buses — though they concede buses can work well for short distances eg to get people to railway stations. Old reliable technology is best (they don’t like monorails, for instance! ), and more can be done to drive down costs of PT infrastructure. #WeyrichLind p9 notes the minority (7%) of trips made by low-income people are on transit. And subsidies are higher for affluent commuters. #WeyrichLind: another important conservative goal served by public transit …is moving welfare recipients into productive employment. #WeyrichLind p18 proposes regulation reform, including (controversially I think) watering down disability access requirements. “in today’s America, very, very few people have high-quality transit readily available.” #WeyrichLind p26 – Slightly better in AU. Slightly. Some types of trips, such as shopping, have never been transit competitive. #WeyrichLind p26 – Hmm not sure I entirely agree. #WeyrichLind praises station parking, but says in walkable neighbourhoods it discourages pedestrians; transit-oriented development better. “Hi-tech can be the enemy of rail transit.” #WeyrichLind p40 talking about cost blowouts, says use proven technology. “When people travel, they want predictability, security and sameness.” #WeyrichLind p41 talking personal security, but it’s a broad truth. #WeyrichLind p42 also floats the idea of seniors-only carriages/services to make seniors feel safe from crime. Hmmmm. #WeyrichLind p61 talks about importance of high quality bus connections from rail to employment centres. Think Melbourne’s 401/601 shuttles. #WeyrichLind p69 cites systems (LA, St Louis, Denver) where conversion of bus to rail has increased overall patronage by double or more. “Rail transit proponents need to do a better job of conveying what it is they are asking people to (support).” #WeyrichLind p75 – Amen! “Politics have led to inefficiencies and failures in public transit.” #WeyrichLind p78 – Yup, definitely not USA-only. #WeyrichLind chapter 4 is about advocating “Bring back the streetcars!” as first step towards building a new PT network. Hmm. “The greatest threat to America’s rail renaissance is escalating costs” #WeyrichLind p101 – a lesson there for us too? “If new roads are built, 66% of Americans do not think congestion on the roads will be eased.” #WeyrichLind p119 quoting 2001 study. “transit reduces energy consumption, & flow of petrodollars to people who like to crash airplanes into our skyscrapers” #WeyrichLind p124 !! Chapter 6 of #WeyrichLind is about winning transit referenda. Perhaps more relevant than at first glance given #EWLink referendum? “Build deep support, not just broad support.” #WeyrichLind p133. Good point, relevant to a lot of political debate. #WeyrichLind chapter 7 is about energy independence…ways to reduce America’s dependence on foreign oil. Oil demand rising, supplies getting more difficult and expensive to produce. #PeakOik #WeyrichLind p149 — In 2015 we have a temp reprieve? #WeyrichLind p161 says “mode neutrality” ignores public preference for trains over buses, ignores the market. Hmm…interesting! “All the technologies our vision (for good PT) employs existed a hundred years ago.” #WeyrichLind p171 — Hmm maybe not signalling/priority? “As conservatives, we are not environmentalists, though on the whole we would rather not breathe smog.” #WeyrichLind p180 — heh! #WeyrichLind p181 uses another term for “induced demand” (with respect to transport capacity filling) – “suppressed demand”. #WeyrichLind finishes up with some stuff about a specific govt report that was adjusted before release, not really relevant to us. As I said, I found the book very interesting, and I’d recommend it for people active in this space who are looking for arguments that are likely to appeal to conservatives. The problem of course — and I’m sure they face this in the US just as much as here — is that there are some conservatives who don’t take a strict conservative view on these types of issues, don’t consider the pros and cons of arguments, but instead take a narrow-minded ideological standpoint. 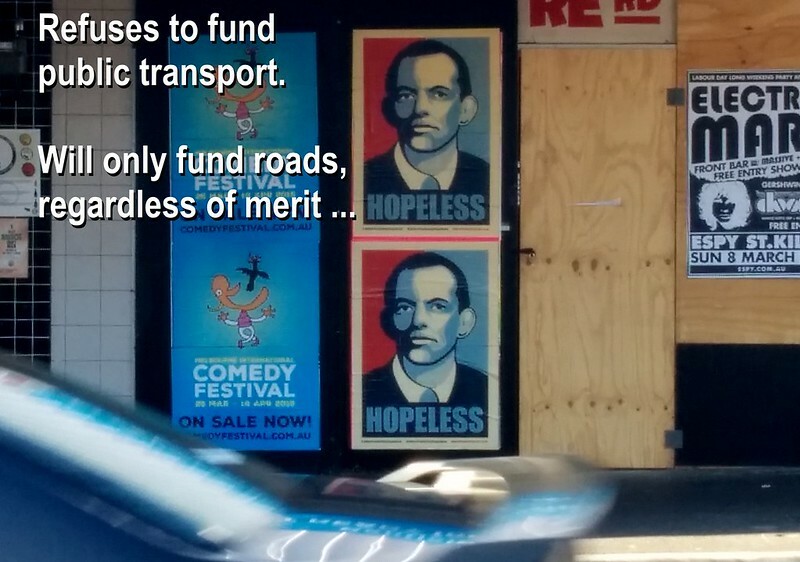 I’m referring of course to our dear Prime Minister Abbott, who has point blank refused to fund urban public transport, because… well, just because. As Crikey remarked yesterday (Paywall): This unfathomable position is not based on economics. … The Abbott government must take a mode-neutral approach to future funding decisions and open its eyes to what other successful world cities are doing. It must embrace a nationwide public transport improvement program based on economic merit as assessed by the arm’s-length arbiter, Infrastructure Australia. The Commonwealth government “sticking to its knitting” is ludicrous. It thankfully hasn’t been like this at the state level. 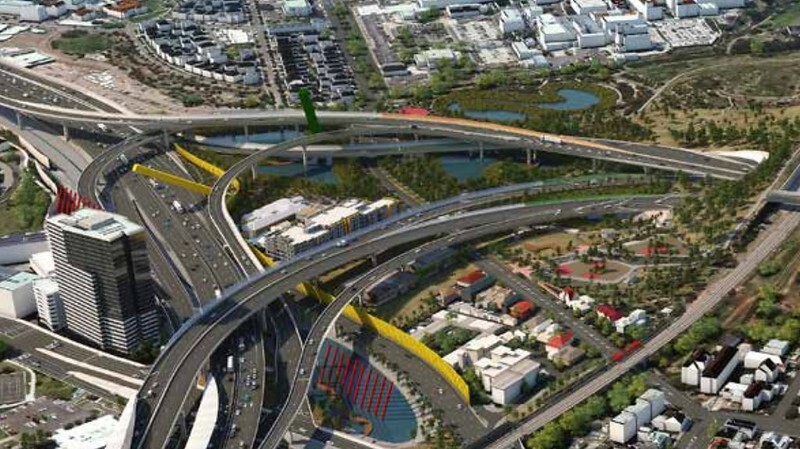 The state Coalition’s continued push for the economically irresponsible East West Link was at least tempered by support and funding for public transport projects as well. As I’ve noted before, there seems to be a lack of rational, thinking conservatives at the top of politics in Australia, at least at the Federal level — at least while Mr Abbott is running the show. Perhaps that will change, perhaps not. But the fact remains that to those who are willing to actually engage rationally in the debate, there are strong conservative arguments in favour of public transport over roads. Update June 2015: I’m told the publisher now seems to have more copies available. 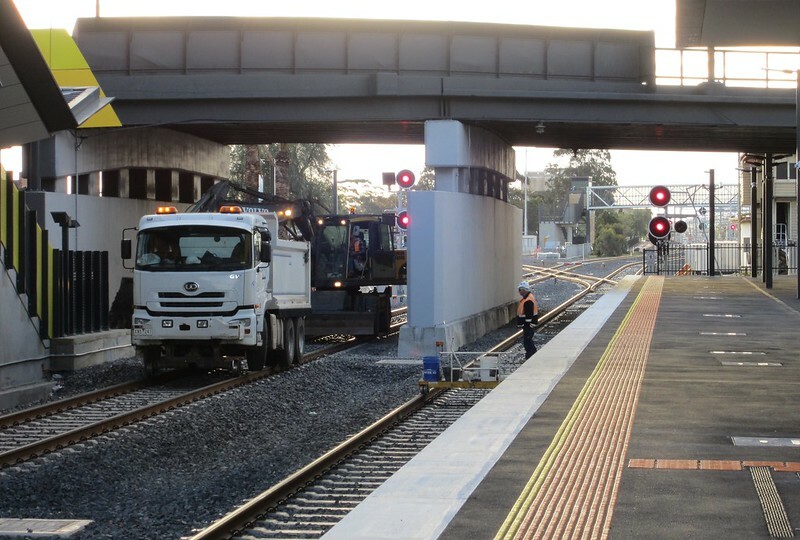 Victoria’s first big 21st century rail megaproject is almost complete. Regional Rail Link was started and mostly funded by Labor (State and Federal, in part as stimulus money during the Global Financial Crisis), and largely built under the State Coalition. Construction itself is now complete, with driver training and other preparatory work happening ahead of the expected opening in April June. The line provides an enormous amount of additional track capacity in the western suburbs… but of course this is only of use if it’s used. So what are the benefits, and what do we know about how it’ll be used? 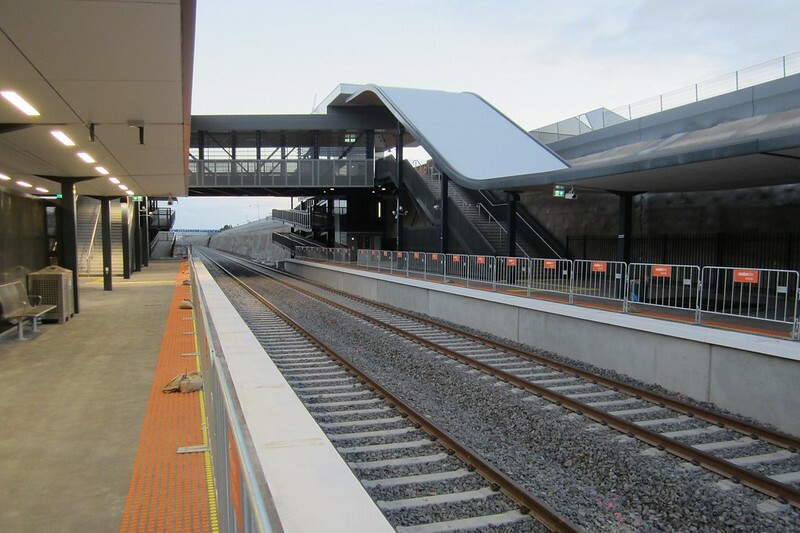 Tarneit/Wyndham Vale get their new stations and new rail line, served by some Geelong trains. The infrastructure for starting suburban diesel trains from Wyndham Vale into the City has also been provided, but it’s not clear that option will be used initially. The opening of the stations will be accompanied by a bus route revamp in the area, focussed on the new stations, which makes a lot of sense, and pleasingly have had extensive community consulation. Geelong line – more reliable travel time in the suburban part of the journey, as V/Line trains won’t get stuck behind slower Werribee line trains. It’s unclear if the trip will take longer though — this was a subject of some controversy when RRL was first planned, and still hasn’t been clearly answered. While it’s a longer distance, the track speeds are higher than the old route, so hopefully the running time won’t be much longer. We know the Geelong line will go to 20 mins off-peak (probably every 40 minutes to Armstrong Creek due to the single track beyond South Geelong), a move which was probably possible in the past, but will be easier to reliably operate with RRL in place. This boost was promised by Labor before the election, and amusingly matched by the Coalition, who claimed they’d been planning it all along… but they hadn’t actually told anybody about it. Ah, secret railway business. Ballarat and Bendigo lines — ditto; more reliable travel times. 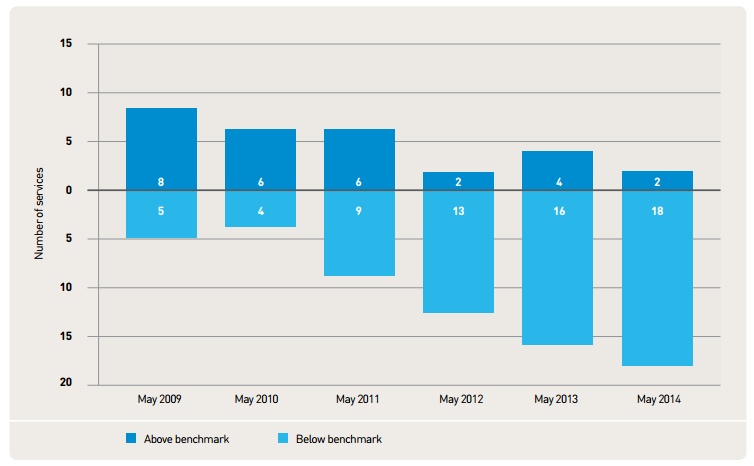 Likely to be faster, particularly during peak when in the past they had to wait for Sunbury line trains. Scope for some extra services, though this is still constrained by the single track sections further out. These trains are already using the new RRL tracks from Sunshine into the City, but timetables haven’t yet been adjusted. The question will be whether the April timetable makes use of this properly, and whether V/Line get their act together at the city end to reduce or eliminate delays coming into Southern Cross, where they should now have plenty of platforms to accommodate all the incoming trains. The 2021 draft documents suggested the three lines combined would have up to about 15 trains in the busiest hour, but the infrastructure should allow some growth beyond that. Sunbury line — apart from between Sunshine and Sunbury, no V/Line trains have to share the metro tracks anymore, meaning a virtual doubling of capacity between Sunshine and the City. 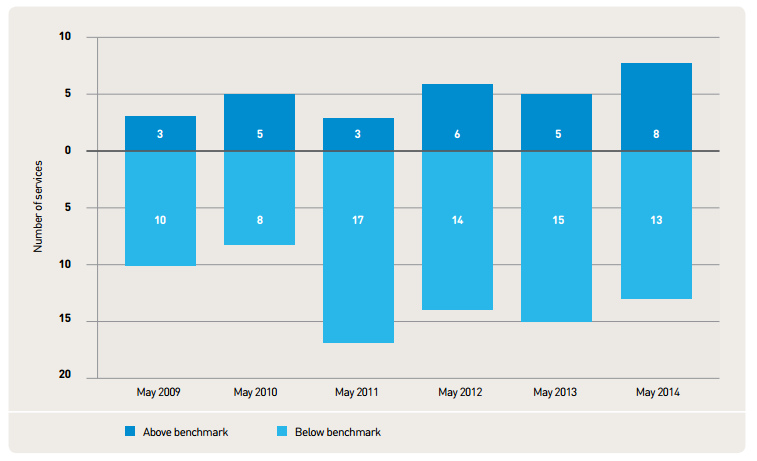 Right now (as of the last load survey in May 2014) figures show crowding on the line has eased, following a roughly 50% boost in peak services over the past 6 years, thanks in part to moving the Werribee line out of the Loop in 2008, and also thanks to the Sunbury electrification, which added stations but also added overall track capacity by removing short haul V/Line trains off the line. However with Zone 1+2 fares having been cut by about 40% since the start ofg the year, we may see a lot more people on suburban trains across the network, so the question is how quickly will the government move to boost services on the line to cope — particularly in peak hour, but also at off-peak times when crowding can be a problem. The new Calder Park train stabling, expected to open later this year, will help with this. Werribee line — again, once RRL opens the Geelong line trains will be off the Werribee line completely, and with crowding already bad before January, they’ll need to make use of that capacity to boost services. In the past 6 years, the load survey shows the Werribee line has gone from 13 to 21 services, and in that time has gained Williams Landing station. But the line has evidently seen greater passenger growth than the Sunbury line, with far more trains above the load standard. In fact it has 46% of AM peak passengers travelling on crowded trains, the highest proportion anywhere on the network. I’m hearing the zone changes have eased demand at Laverton, in favour of Williams Landing, but given the huge population growth in that area, I’d also expect overall patronage to keep growing. Williamstown line — theoretically could get a boost, but not seen as a priority as it doesn’t serve growth corridors, and the last load survey showed crowding was well below the levels seen on other lines. 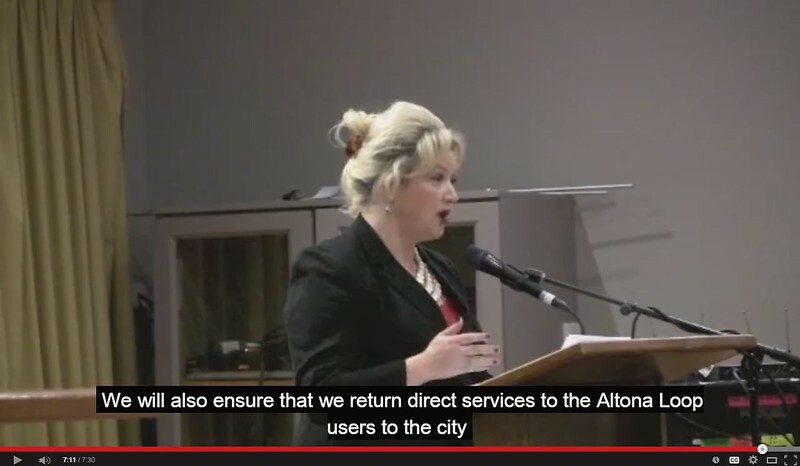 One would hope at least the 22 minute peak frequency shared with Altona will be fixed to 20. Altona Loop — technically part of the Werribee line, the changes in 2011 when the third (turnback) platform at Laverton opened were primarily of benefit to the outer section of the Werribee line (early 2011 was when the line got a big increase in services). It helped add capacity for the Altona Loop stations, but degraded the service in other ways: peak hour service dropped back to an almost impossible to memorise 22 minute frequency, and at off-peak times on weekdays shuttle trains run every 20 minutes only as far as Newport. This means that at off-peak times, if you want to travel to a City Loop underground station, you need to catch three trains — one to Newport, another to North Melbourne or Southern Cross, then a third to the Loop. One of the reasons widely cited for the shuttle trains (and the 22 minute peak timetable) was a lack of capacity between Newport and the City, given the need to share the line with Geelong trains. RRL will see the Geelong trains off the line, and it has been flagged many times that this would bring an end to the shuttles, with off-peak Altona Loop trains going all the way into the city — in fact Labor pledged it during the 2014 election campaign. It would help those passengers, but also ease off-peak crowding on the Werribee line by enabling the Werribee trains to run express Newport to Footscray, bypassing busy inner-city stations like Yarraville. Other lines indirectly benefit: the Frankston, Craigieburn and Upfield lines gain some isolation from V/Line operations which currently can snowball across the network. With the zone 2 fare cuts, anecdotal evidence is that patronage is on the rise again, right across the rail network. The government is going to need to stay ahead of the growth, to avoid the politically sensitive situation of widespread packed trains that we saw in the later years of the Bracks/Brumby government. This time, they’re a bit more prepared. RRL unlocks capacity for a number of lines, and planning work is underway to unlock capacity on other lines around the network. The key is for the funding for upgrades (and that includes infrastructure, fleet and services) to keep on coming. You wouldn’t expect them to use all the extra capacity from day one, but they should where they have the train fleet available and the crowding is worst (eg the Werribee line and Altona Loop), as well as a plan to roll out additional service boosts over time. Of course it shouldn’t just be directed at easing train overcrowding. Trains, like no other transport mode, have the ability to get large numbers out people out of the traffic on the Westgate Bridge and the other river crossings, if good frequent services are provided. And remember — all-day, 7-day frequent services — every 10 minutes or better — are actually relatively cheap on the upgrade list, because they largely use fleet and infrastructure already provided for peak hour. Frequent services help the people who can, make more trips outside peak hours, and just like in the world’s biggest cities, help turn our train system into a mass transit solution that gets people out of cars by providing good connections between lines, and Turn Up And Go services. Update 20/2/2015: The government has postponed the opening to June, blaming a lack of V/Line rolling stock due to the previous government delaying the order. It’s a bit like a contractual version of Pauline Hanson’s assassination video: Fellow Victorians, if you are seeing this now, it means East West Link has been killed. Obviously it was designed to ensure the project went ahead, even if the Coalition was voted out, and Labor tried to cancel it. A billion dollar booby trap. I think this is far worse than simply signing a bad contract. It goes much further, by offering a kind of insurance against its later cancellation (which, as a reminder, happens regularly). This is veering into the territory of… how do I put this? It’s lacking respect for the electorate so much that you would force your decision onto them, even if they specifically voted against it. Remember, numerous people from Tony Abbott down declared the November 2014 election a referendum on the project. Late last night, the Herald Sun unexpectedly published the entire East West Link business case, ahead of its official release today. p12 makes various high-level claims, particularly faster trips for motorists — but as we know, this benefit never lasts because traffic increases. p17 flags the toll prices used in the modelling: (2012 pricing) cars $5.50 in peak, $4.40 off-peak. Light commercial vehicles $8.80 peak, $7.04 off-peak. Heavy commercial vehicles $16.50 peak, $13.20 off-peak. I wonder what regular motorists (especially those with commercial vehicles) make of these toll levels? By comparison, bypassing the city along the Bolte Bridge or the Domain/Burnley tunnels (not both) currently costs $7.06 in a car, or $8.15 for both sections. It’s only marginally more expensive for both because there’s a cap… I assume it’s unknown if a similar cap could exist where adjoining motorways are run by different operators. 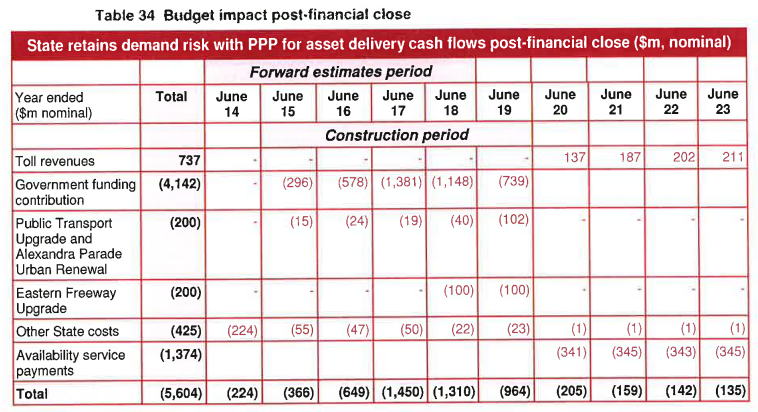 p17 says the funding gap between the toll revenue and the cost of construction is $5.3 to 5.8 billion. 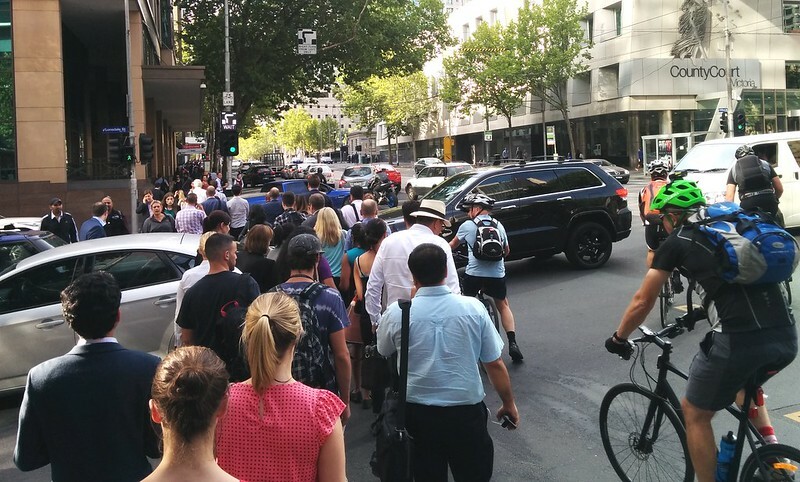 p39 says north-south public transport is being degraded by traffic congestion, which may be the case, but that’s because authorities have allowed it to happen by failing to provide tram/bus priority through busy intersections such as Alexandra Parade. They continue to prioritise large numbers of vehicles (single-occupant cars) over large numbers of people. It’s important to recognise that while the greater East West Link project includes tram priority measures, these can be implemented without building a big road tunnel. p41-42 appears to be cherry-picking statistics to try and claim there’s a lot of demand for cross-city traffic. For instance the diagram at the top of page 42 implies lots of cross-city traffic, but it’s mapping out in percentage terms the demand from different directions heading to the Eastern Freeway in the AM peak — in other words, feeding into the freeway in the counter-peak direction, as if counter-peak travel is where the congestion problem is. A diagram on page 41 does look at AM peak from the Eastern Freeway, and like previous studies shows little traffic heading to the west of the city — 2% to the south-west (eg Newport area), 6% due west to Footscray and beyond, 7% north-west to around Essendon and beyond. The vast majority of traffic is heading to the CBD and inner north. 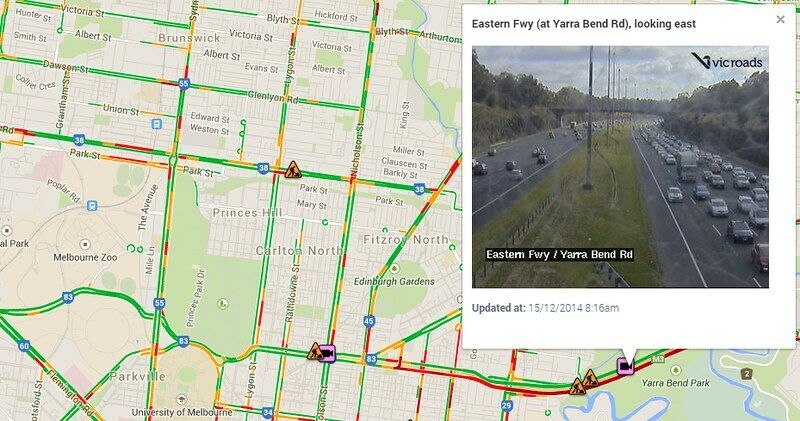 In comparison, here’s the screendump from VicRoads traffic status web site this morning (8:16am, peak hour). The camera image shows counter-peak the Eastern Freeway seems to be free-flowing. It also shows free-flowing traffic most of the way across to the west (in both directions), again underscoring that the east-west route isn’t the main problem; as per the page 41 diagram, it’s traffic going into the CBD and inner suburbs. p100 forecasts traffic rampup to % of steady state volume: 91% by month 6. 96.5% by month 12. 100% by month 22. I wonder: Is this in line with recent experience? A NSW Auditor-General report on Sydney’s Cross City Tunnel (see page 32) found that projections of 80% initially, and 88% after a year were about double the traffic levels that actually eventuated. Brisbane’s Clem7 and Airportlink tollways, and Melbourne’s EastLink had similar problems. 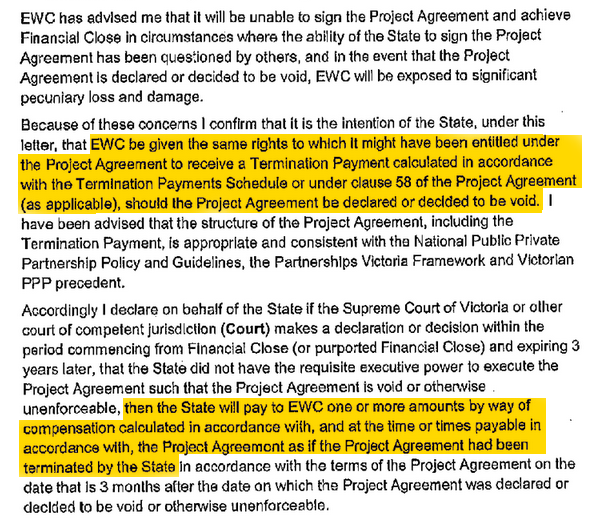 Note that in East West Link’s case the taxpayer bears the risk. p165 Whoa! The construction cost is much much higher than theoretical revenue of $112 million/year (56x) relative to Citylink (8x) or Eastlink (20x). The average construction cost is also much higher per kilometre than those projects. p168 The assumed tolling period is 40 years. p176 Benefit Cost Ratio of stage 1 is 0.8 (eg it costs more than it makes) when “Wider Economic Benefits” (WEBs) are excluded. Including WEBs is 1.3-1.4. Update: The earlier estimate, using the methodology preferred by Infrastructure Australia, came out at just 0.45. In later versions of the document, the methodology changed and the estimate rose to 0.8. The version released by the Herald Sun has the higher figure, and it’s been speculated that someone supportive of the project dropped that version to them deliberately to pre-empt reporting of the lower figure. Josh Gordon at The Age has some nice analysis of how the figure grew from 0.45 to 0.8 with some WEBs, and then to 1.4 by including other projects such as the Tullamarine Freeway widening, and even Wider WEBs. WEBs are notoriously wibbly-wobbly in their calculation, and often controversial. For instance it’s not clear how they claim $2153m in agglomeration economies (specifically “growth in Melbourne’s competitive central core”) when the tollway doesn’t directly serve Melbourne’s central core. It also claims a lot of benefits from travel time savings, but as I’ve already noted, we know these never last. Compared to the 1.4 the road gets with WEBs, the metro rail tunnel (which is also an incredibly expensive project) apparently got 1.9. And compared to the 0.8 for EWL without WEBs, the metro rail tunnel got 1.17 — so at least it isn’t loss-making when evaluated without possibly dodgy WEBs. p193. If they built the road elevated rather than underground, the BCR (excluding WEBs) would still only be 0.9. It’s only by building it as a surface road (eg a ground-level motorway, thus obliterating large areas of the inner-northern suburbs) that you can get a BCR above 1: 2.6 to be precise. p209 summarises the revenues and outlays, and if I’m reading this right, seems to show toll revenue of about $200m per year against availability service payments from the government to the operator of about $345m each year. I assume by June 2023 that’s the “steady state”. If the toll revenue doesn’t get that high, then taxpayers foot the larger bill. And remember this is only stage 1.
p211 ponders the state privatising the road later — that is, selling the toll revenue stream, presumably to offload the taxpayer risk in case revenue flops in the future. I’ll keep dipping into the document as I get time in the next day or two, and may add some points as I find them. Hopefully when there’s an official release in the next day or two, the PDFs available will be searchable — it’ll make finding things a lot easier! And presumably there’s more detail coming as well — for me one thing that stands out is the courageous predictions of quick growth in tollway traffic and revenue, in the face of recent experiences with other Australian tollroads. And I’d love to see detail on the modelling assumptions that show how well the traffic would flow if the revenue targets are met. It still strikes me that these massive tollroad projects can be profitable, or provide for free-flowing traffic, but not do both. Update: The official release of documents has now occurred.